Dr. Mir S. Shafii has been working at UC Davis in the Biological and Agricultural Engineering department for over 25 years. Having started as a post graduate researcher, Dr. Shafii went on to work as an Associate Development Engineer. For the past 10 years he has taught Applied Biological Systems Technology (ABT) with the Western Center for Agricultural Equipment (WCAE). 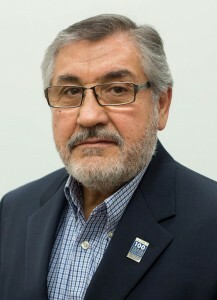 Prior to working with UC Daivs, Dr. Shafii earned a bachelor’s in science and master’s of science from Tehran University before earning his Ph.D in Agricultural Engineering from Ohio State University. In 2000, Dr. Schafii received a distinguished service award.